BY WORKING TOGETHER ON A WIN-WIN PERFORMANCE BASED SOLUTION, BOTH PARTIES RECEIVE TANGIBLE AND/OR INTANGIBLE INCENTIVES. Total Logistics approach is to achieve a Strategic Alliance through a performance partnership based on optimizing innovation and improving services, as well as to reduce cost to customer outsourcing, and improve profits to outsource provider. 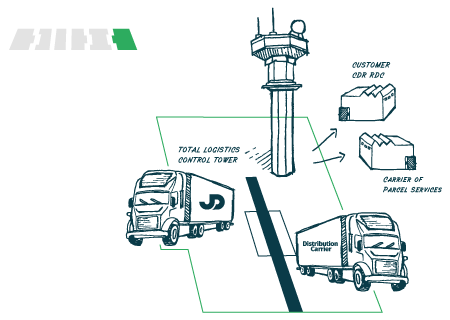 A third-party logistics provider (abbreviated 3PL, or sometimes TPL) is a firm that offers partial or full chain management functions. 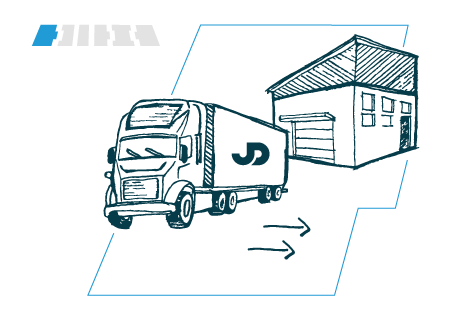 Third party logistics providers typically specialize in integrated operations, warehousing and transportation services that can be scaled and customized to customer´s needs based on market conditions, such as the demands and delivery service requirement for their products and materials. Reduction of over 90% of inventory. 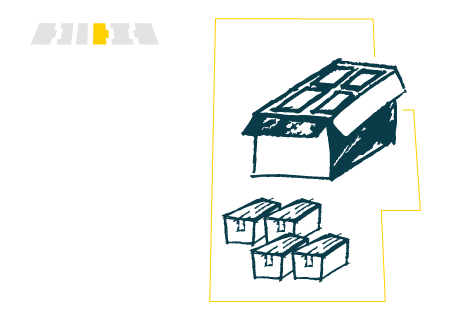 100% storage flexibility without limit from pallet 1. Reduction of paperwork needed to establish a full operation in Mexico. Dedicated Import-Export department for Mexican and US regulations compliance. State of the art Warehouse Management System (WMS). 100% real-time inventory accuracy accessible from our JD App 24/7/365. Expedited delivery service, 30 minutes or less if requested. Top employees in the market, fully trained and accredited. 100% inventory security with more than 100 CCTV cameras in operation. We aim to exceed all security regulations established by the US Government (CTPAT). Increase productivity of your floor space. 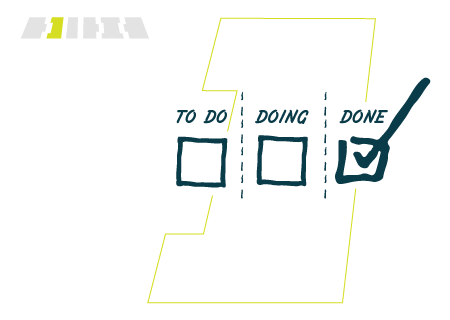 Kanban is a method of just-in-time production that uses standard containers or lot sizes with a single card attached to each. It is a pull system in which work centers signal with a card that they withdraw parts from feeding operations or suppliers. Warehouse and shop floor space optimization. Reduction and elimination of scrap generation. This activity is accomplished by a process in which resupply is done by the vendor through regularly scheduled reviews of the on-site inventory. It is a means of optimizing supply chain performance in which the supplier has access to the customer's inventory data and is responsible for maintaining the inventory level required by the customer. This activity is accomplish by a process in which resupply is done by the vendor through regularly sheduled reviews of the on-site inventory. Reduces over 90% of inventory. Release warehouse space for production. Strengthening of customer and vendor relationship. Reduce the amount of information flow. Inventory transactions reduction over 90%. Optimization of the cash flow cycle. The process in which individual pieces are separated but related items are grouped, packaged, and supplied together as one unit. Reduction of work in process. 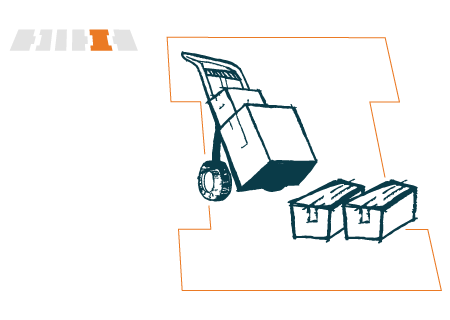 Raw or indirect material supplies that are delivered and/or stored at the location or very close where they will be use. 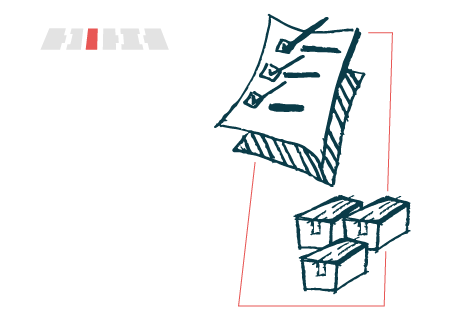 This type of inventory management is often found in manufacturing or production lines. This is a lean manufacturing practice that tends to minimize the amount of inventory in the overall supply chain. Delivery in point of use. Cross-docking is the practice of unloading materials from an incoming semi-trailer truck or railroad car and reloading them directly into outbound trucks, trailers, or rail cars, with little or no storage in between. This may be done to sort material intended for different destinations or to combine material from different origins into vehicles (or containers) with the same or similar destination. Reduction and optimization of the entire inventory network. Reduction of overall lead time. Change from fix to variable cost. Pull operation to customer’s orders. Reduction of your operational complexity. Send us your questions or comments and we will shortly be in contact with you.